Family League has deep relationships at all levels, from the Mayor’s office to on-the-ground community organizations and is able to bring key players to the table to develop tools for change. Family League also connects and convenes private and public funders, local community leaders, educators, health professionals and business to develop a shared agenda for action. 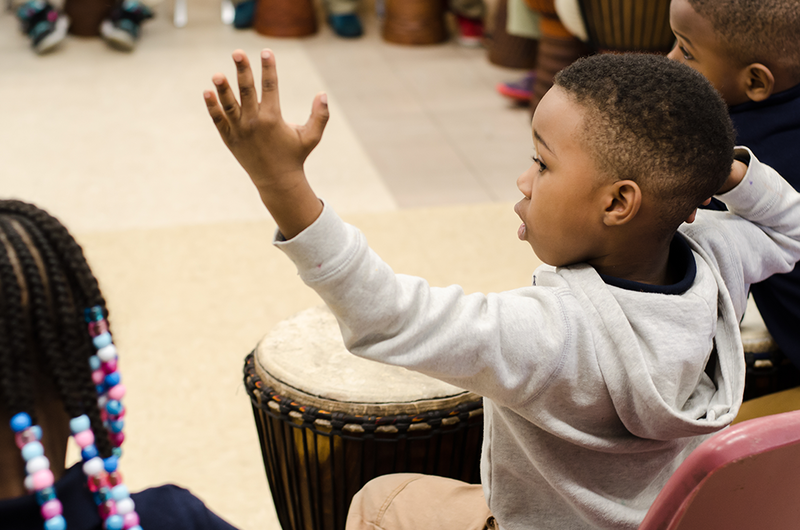 We invest funding into community-based organizations to help children and families in Baltimore reach their full potential. We strive to improve institutions so that individuals can grow, learn, and build a better community. Family League’s funded partners are our link to Baltimore. We connect a wide range of partners with funding opportunities to help them mutually reach our goal that by 2030, all children in Baltimore will be born healthy, succeed academically, graduate high school and transition into higher education and the workforce. If you have any questions, please contact the Funded Partnerships team at fundedpartnerships@familyleague.org. Through this funding opportunity, Family League is seeking an organization to provide a methodological assessment of historical data in order to determine gaps in services and forecast trends of future outcomes based upon current service levels available to the citizens of Baltimore. BHB and the CAB supports the development of training and certification opportunities for women of color who reside in Baltimore to become Doulas. The Doula Scholars Program will support the certification of community members to become Doulas, and additionally, will assist Doulas currently working in Baltimore City to build their skillsets. Family League has no active professional services opportunities at this time. Subscribe to Family League’s Newsletter to stay current on new funding opportunities. FUNDINGtrack is Family League’s online portal for submitting applications and reports. Through this platform, new applicants and current partners can apply for funding and submit reports if selected for funding. Family League of Baltimore is pleased to consider requests to support organizations responding to various grant opportunities. These requests afford Family League the opportunity to learn of new resources being created within the community as well as to facilitate linkages among the proposed project and established initiatives and programs. In order to submit a request for a letter of support, please download and complete the form provided below and return it to fundedpartnerships@familyleague.org. Please note that requests will typically take 10 business days to process and complete and the decision to provide the letter will depend on alignment with Family League’s mission, partner’s performance, and any potential conflicts that may arise. The Review Panel Member serves as part of an independent review panel convened by Family League of Baltimore to rate and score proposals submitted in response to a Request for Proposals (RFP). This panel represents experience and knowledge in the fields of human service provision and programmatic oversight of the types of services and resources being developed. Please read the full position description here. We invite you to join the broadcast of the Association of Baltimore Area Grantmakers’ Fiscal Sponsorship and Agency Webinar at Family League’s office. This is a FREE event for our funded partners and community members. This workshop will be a great opportunity for new non-profits to learn how fiscal sponsorship can help access funding and build capacity along with networking with other community organizations. The Association of Baltimore Area Grantmakers is sponsoring a presentation on May 17, 2019 on approaches to developing a budget, tips on how to present budgets to funders, the nuts and bolts of what funders are looking for in a budget, and how to tell the story of the work through the numbers.